Good news for Candidates who are looking for Latest Govt Jobs Notification. Apply Online for Various Jobs 2017. Latest Job Openings at Central Industrial Security Force (CISF) Department. 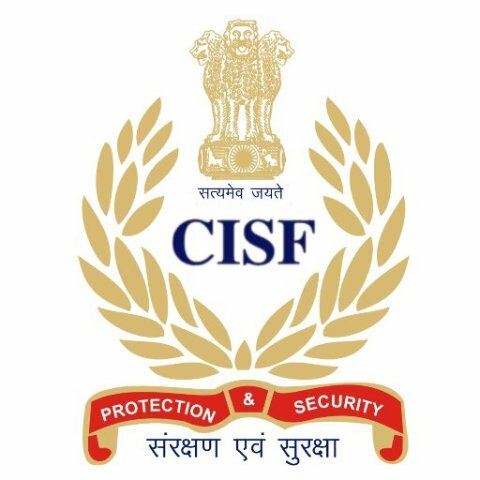 People who are looking for Police Jobs in India can apply for CISF Head Constable Recruitment 2018 within the cisf posting specified dates. It’s a great opportunity for the job seekers who wish to get placed in the CISF Department. Government employment news cisf pay slip recruitment 2017 openings across India. Candidates who have completed 12th, Bachelor Degree from a recognized Institute are Eligible to apply CISF Recruitment 2018. Eligible Candidates can check latest Govt jobs in Employment News Updates of Notification. Central Industrial Security Force once again issued a Job Notification for the sake of aspirants for recruiting 118 jobs in ASI and HC Jobs. Individuals of Job Seekers searching for Police Jobs can get the complete information on this page because we have incorporated complete info better than other job portals. Recently, the CISF also issued Constable Jobs in Fireman trade also. According to the CISF 118 ASI Vacancies notification. CISF Head Constable Recruitment 2018 Notification For Sports Quota Published Ministry Of Home Affairs. When male/female candidates Read Directorate General Central Industrial Security Force ASI HC vacancies 118 Notice know the domicile status, proficiency in sports and enclosures required to be attached with application duly self-attested. Eligible and Interested can apply for this Job on its official websites. ASI/Exe–Level-5 in the pay matrix 29,200 to 92,300/-(Pre-revised Band Pay 5200-20200+ Grade Pay 2800/-) plus usual and admissible allowances to the Central Government employees from time to time. Head Constable (General Duty) – 10+2 or equivalent from recognized institutions/Board. Individual event: i) Should have represented the country as a member of Senior/Junior International tournament or should have a medal-winning performance in Senior / Junior National Games /Championship during the last edition. Team Event: i) Should have represented Senior/Junior team in the international tournament during the last edition or ii) Should have won any medal in the National competition at Senior/Junior level during the last edition. Individual event: Should have represented a State or equivalent unit National Games/National Championship in Senior/ Junior level during the last edition or ii) Any medal in all India Inter University Championship during the last edition or iii) Gold Medal in National School Games/Championship during the last edition. Team Event: i) Should have represented State team or equivalent unit in National Games/Championship in Senior /Junior level during the last edition or ii) Member of medal winning team in All India Inter-University Championship during the last edition. iii) Gold Medal in National School Games/ Championship during the last edition. Note: The person should have been the playing member of the team during the last edition.